On March 9th and 10th , MyJustice is conducting a training on Community Paralegal for CSO partners organization with the purpose of building foundation skills in the design and management of a community paralegal programme. 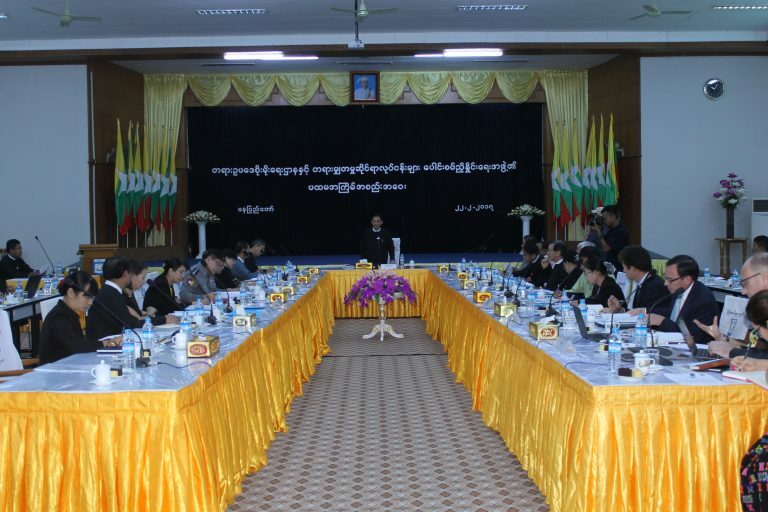 On February 22, MyJustice Team Leader Caitlin Reiger and Senior Justice Sector Advisor U Hang Za Thawn attended the first meeting of the “Rule of Law Centres and Justice Sector Coordinating Body” in Nay Pyi Taw. The Coordinating Body was established by Presidential Notification 14/2017 on 9 February 2017, and represents an important step forward by Myanmar’s government to strengthen the justice system. 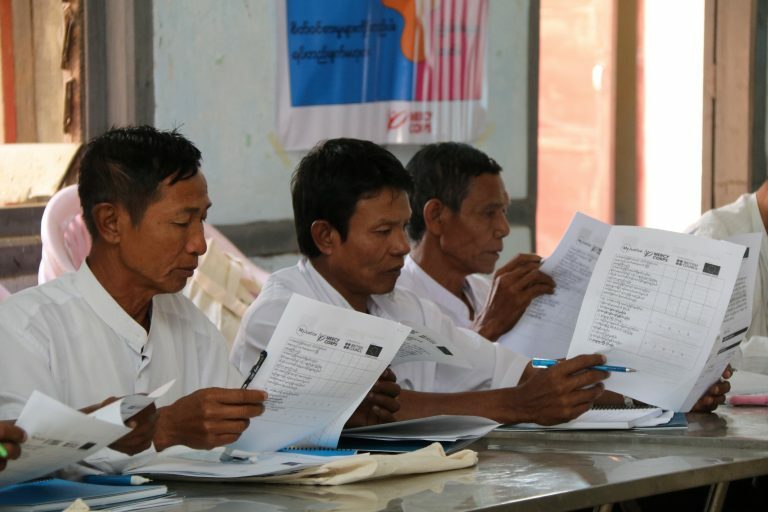 MyJustice returned to Kawa Township to conduct two introductory trainings on Interest Based Negotiation (IBN) for 60 ward and village tract administrators (W/VTAs) in partnership with Mercy Corps and the United Nations Development Programme on March 1 to 4 in Bago Region. 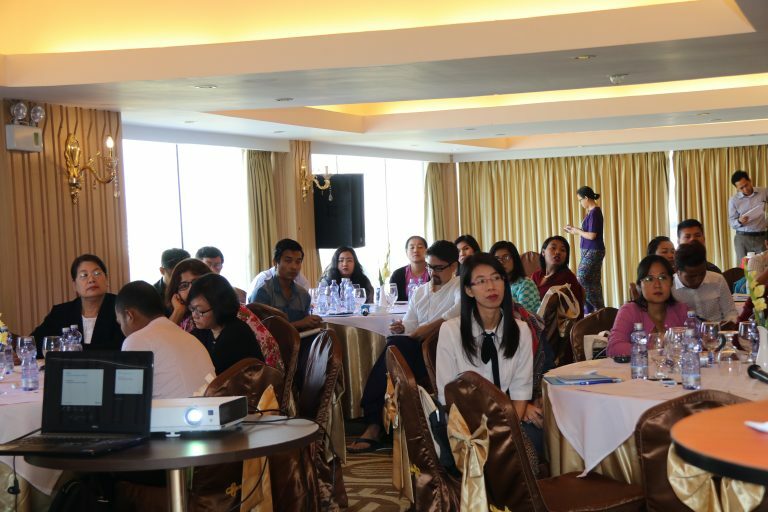 MyJustice is conducting a capacity building workshop on Monitoring, Evaluation and Learning (MEL) for its CSO partner organisations on February 27 – 28 at Esperado Hotel in Yangon. 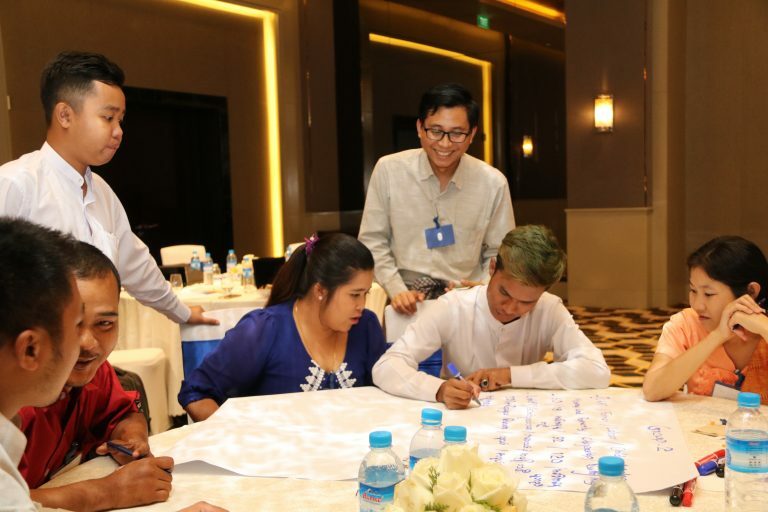 Thirty-five participants from 12 CSO partner organisations attended the workshop to learn how to design rigorous Monitoring, Evaluation and Learning processes for their project implementation.